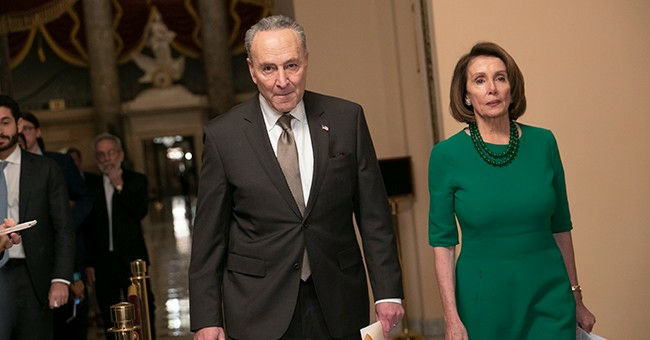 “Attorney General Barr’s letter raises as many questions as it answers," Pelosi and Schumer said in a joint statement. "The fact that Special Counsel Mueller’s report does not exonerate the president on a charge as serious as obstruction of justice demonstrates how urgent it is that the full report and underlying documentation be made public without any further delay." Barr’s four-page summary of key findings from the report states that neither President Trump nor campaign officials colluded with Russia to interfere in the 2016 election. Barr also explained that Mueller “did not draw a conclusion” on whether Trump obstructed justice, leaving the determination to Barr himself. The attorney general explained that after reviewing the report and consulting with DOJ officials, he and Deputy Attorney General Rod Rosenstein concluded the evidence for obstruction Mueller laid out is “not sufficient” to show Trump committed an offense. Pelosi and Mueller argued in their statement, however, that Barr is not a neutral observer and therefore cannot make a determination about the report. “Given Mr. Barr’s public record of bias against the Special Counsel’s inquiry, he is not a neutral observer and is not in a position to make objective determinations about the report,” they state. The also called for the report to be made public—a point echoed by 2020 Democratic presidential candidates. Rep. Mark Meadows (R-NC) pointed out that it isn't a prosecutor's job to "exonerate" people. My Democrat colleagues keep seizing on this line that the Mueller report “doesn’t exonerate” the President. Folks, prosecutors don’t exonerate people. They either find evidence or they don’t. They looked for 22 months and found none. It isn’t there. No collusion, no obstruction.